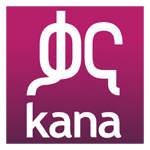 Launched in April 2016, Kana is a general entertainment free-to-air channel bringing international and local entertainment shows to Ethiopian audiences. Proudly Ethiopian, Kana broadcasts exclusively in Amharic to ensure that its programs have the broadest appeal. The channel delivers dubbed international shows and series, and is expanding its original content offering to meet the requirements of Ethiopian audiences, with a focus on promoting local creative talent and expertise.